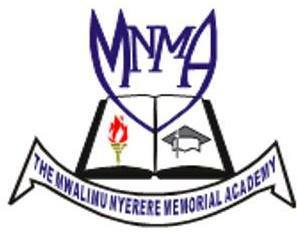 The Mwalimu Nyerere Memorial Academy is initially a product of Kivukoni College. In February, 1958 the National Conference of TANU which was held in Tabora passed a Resolution to establish a college for adults in the lines of Ruskin College in Oxford. The College was to be a tool for spreading understanding of social, political and economic problems facing underdeveloped countries such as Tanganyika a m o n g p e o p l e who were likely t o become leaders i n newly independent country but who did not have qualifications necessary to enter educational institutions. The Adult College was formally established on 29th July, 1961 as a private company under Companies Ordinance (Cap 212). Applicant must be a holder of a PhD degree, Bachelor and Master’s Degree in Human Resource Management or Public Administration or Education Management Planning and Administration from a recognized Institution. All Applicants must have a GPA of 3.5 or above on their Bachelor Degree and GPA of 3.8 or above for Master’s Degree. Holder of Master Degree in Library, Archives and Information Studies or any other related field from a recognized institution. All Applicants must have a GPA of 3.5 or above on their Bachelor Degree and GPA of 3.8 or above for Master’s Degree.